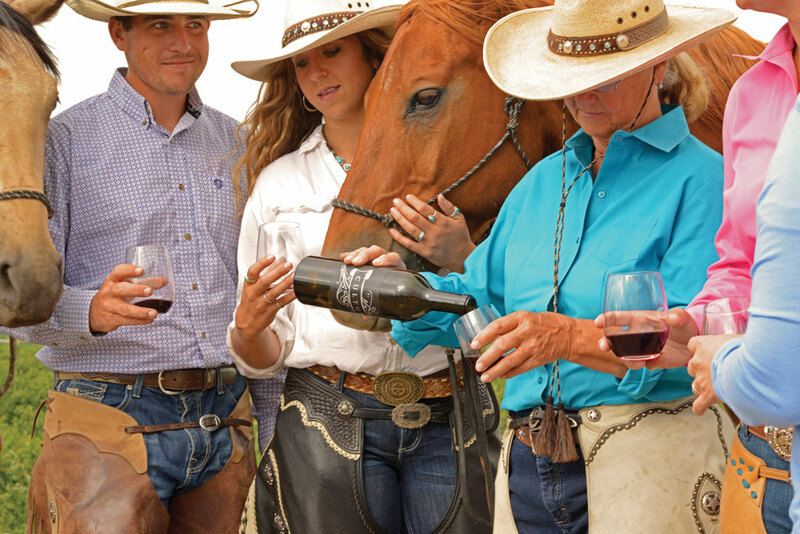 Equestrian-themed wines and rides on the West Coast. Nothing could be better than a ride through the countryside on a trusty trail horse. How about a glass of wine along the way or at the end of the day? 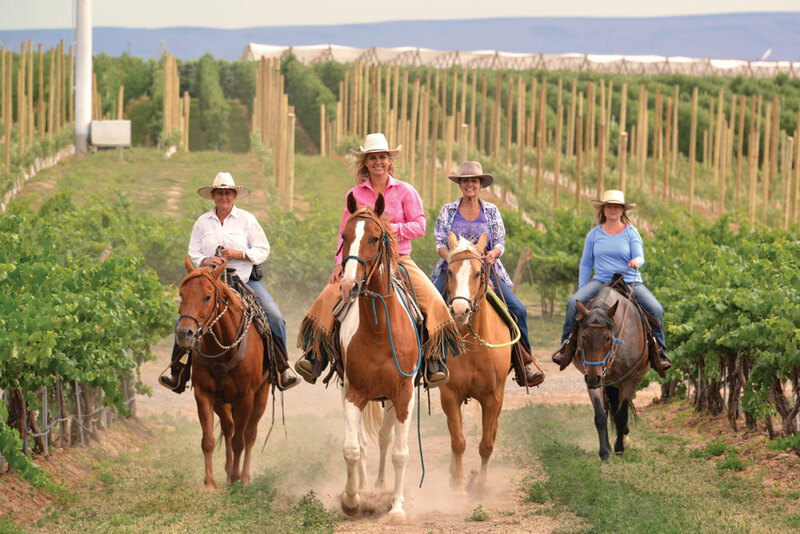 From the Yakima Valley of Washington to Southern California’s Temecula wine region, follow the trail through a few West Coast winery rides and taste horse-themed wines along the way. Mother/daughter team Pepper and Tiffany Fewel oversee the riding part of their family bed and breakfast near Yakima, an area with merlot, cabernet sauvignon and chardonnay grapes being widely planted. Started in 2005 at the edge of the Horse Heaven Hills region of eastern Washington, 14 Hands Winery began creating wines inspired by the once-roaming bands of wild horses near the Columbia River. Free and untamed, these horses will always symbolize the pioneer spirit of the American West. 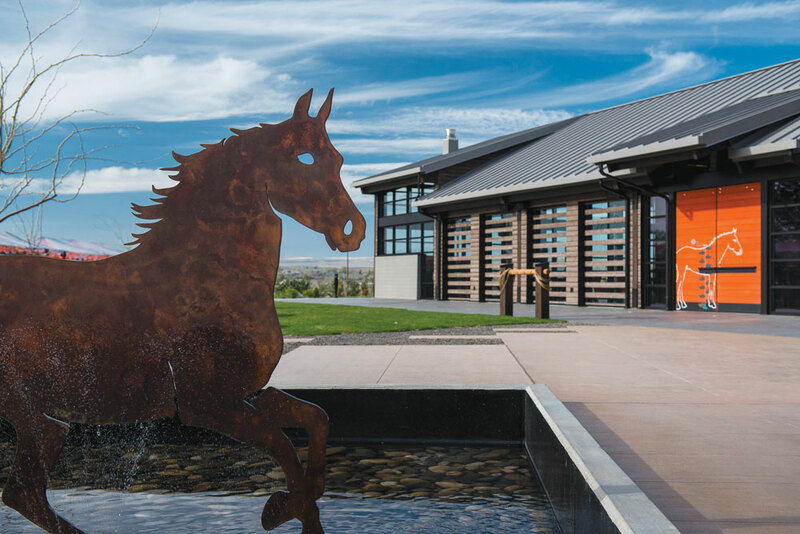 Today, 14 Hands Winery creates chardonnay, merlot, cabernet sauvignon and other single-varietal wines and blends, all bottled with labels featuring captivating artwork of the region’s wild horses. Their tasting room displays reclaimed barn wood and the stories behind the historic farms of the area. Jake and Shirley Price started their horseback wine tour company about 10 years ago in the Red Hills area of Dundee, southwest of Portland. The couple shares a passion for Tennessee Walking Horses, so you’ll explore area vineyards while enjoying the soft gaits of the Price’s trail horses, several of which are rescue horses finding a better life in the Willamette Valley wine country. 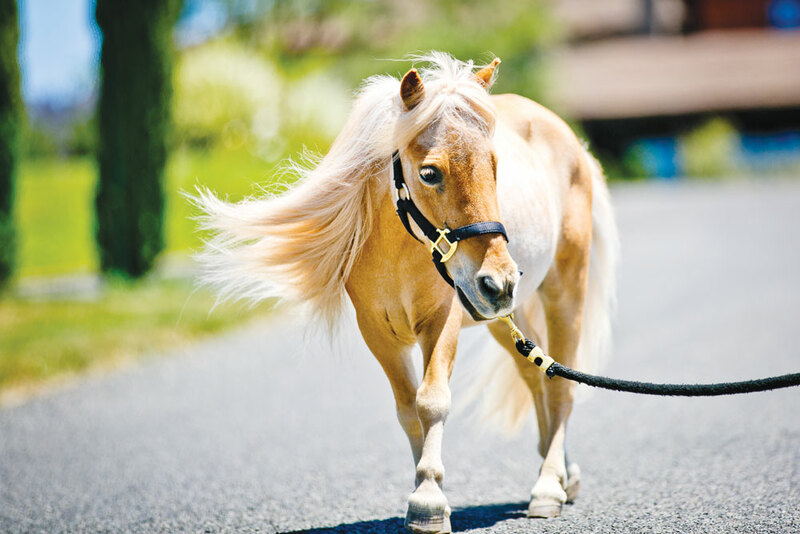 Although not a ride, Jamieson Ranch Vineyards offers a family-friendly equine experience. Mini Moments gives you 30 minutes with Whinnie the Pooh, Sweet Jane, and Molly, the three Miniature Horses who call the ranch home. In 1999, vintner Barry Waitte bought the property for what would become Tamber Bey Winery, named to honor Tamborina and Bayamo, his first two Arabians. The winery is in Calistoga, near Napa Valley, and produces primarily chardonnay, cabernet sauvignon, merlot and pinot noir at its Sundance Ranch, which houses the winery and Barry and Jennifer Waitte’s equestrian facility. 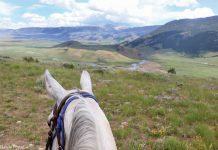 Crystal Hallett, owner and lead guide, takes you on a one-hour ride through the private 150-acre Creston Ranch. As your horse climbs the rolling hills, you’ll be rewarded with horizon-to-horizon views overlooking vineyards and a lake. Peter Ganibi, a former professional polo player, and his wife, Jaye, have created a unique horseback wine tour company in Santa Ynez, a wine-growing region of Santa Barbara County. 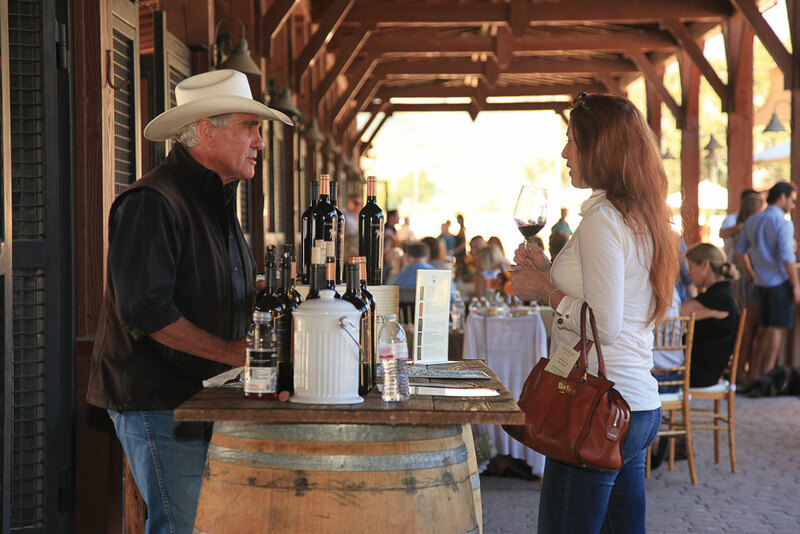 Santa Ynez is known for its rich Vaquero history, including the upcoming 34th Annual Vaquero Show and Sale in November, as well as its diverse viticulture, with everything from cabernet sauvignon to pinot noir, as well as Rhône and Italian varietals. Lifelong horsewoman Diana Lefort combined her love of horses and passion for the Temecula Valley wine country into guiding guests on rides through area vineyards and sharing the fruits of local wineries. But the rides go beyond an enjoyable outing. Over the years, she has rescued and rehabilitated more than 50 horses, some of which have become guest horses for winery rides, and others that have found homes with carefully selected new owners.